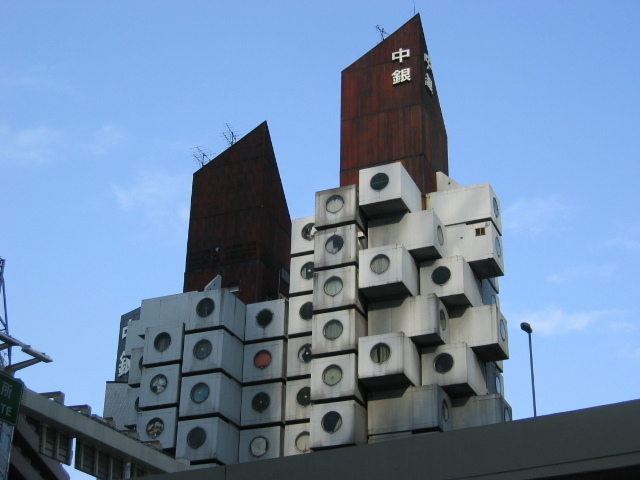 This unusual building is called the Nakagin Capsule Tower. 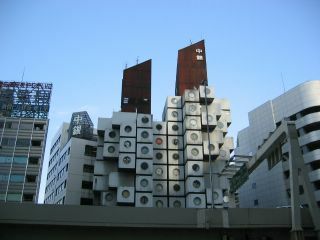 It is located on the outskirts of the Ginza area of Tokyo. The famous Japanese architect Kisho Kurokawa (his web site can be found here) designed this building. 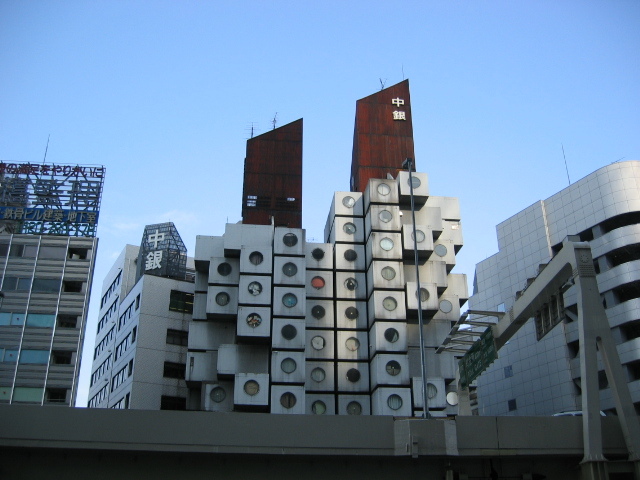 It was completed in 1972. Each of the capsules was pre-manufactured and then assembled on site. They were designed so that they could be removed and replaced. Take a look at Kisho Kurokawa’s web site (linked above) many of his other works, and future projects, are really very interesting. A really interesting concept! Just imagine if there were several such compatible buildings, and people could just take out their module, hitch to their car, and go put it in another building at another place :-). And thanks for linking my page. I enjoy your site too.. it presents an interesting view of Japan very few people on the outside, see. cool looking building. can't say i'd want to have to look at it every day, but... definitely very interesting.